Clicking on an icon is the most common way to make an electronic signature in webpage contracts. In the absence of fraud or other special circumstances, the electronic signature incorporates all the terms of a contract. In a case which involved the online auction house eBay, the judge found that a contract was made when purchasers click-signed a webpage contract. It is immaterial that the person clicking does not read the terms. Initially, courts were reluctant to hold that hyperlinks, without more information, gave sufficient notice of more detailed terms, but they have recently begun to accept they may be sufficient. However, if the court decides that a person’s assent has been procured by deceit, the person may not be bound by the electronic signature. In one case the court decided a website deceptively encouraged users to skip the terms of an agreement where the screen inviting visitors to the site to agree to the terms appeared before the screen displaying the terms, and it was possible to bypass the terms by simply clicking on the ‘I agree’ button. The site also gave visitors a second opportunity to bypass the terms. A key special circumstance is if the signatory does not reasonably know that a webpage contains contractual terms. In one case the courts held that a visual invitation to download software for free did not have the appearance of an invitation to enter a contractual agreement. 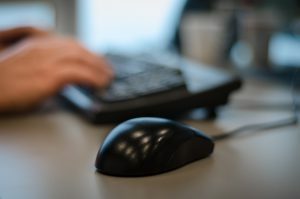 It remains arguable that clicking with a mouse is not the equivalent of a written signature since a computer screen lacks the readability of paper, and it is all too easy to click on an icon without realising the legal consequences. These characteristics of webpage contracts are open to exploitation by online businesses. Contact us if you have any concerns regarding online Contracts and agreements.